Whether as a futuristic prototype EN-V or a contemporary family vehicle as Acadia Denali GMC, rapid prototyping three-dimensional accelerated the process of creating and reduces the time and costs devoted to clay modeling and molding of parts prototypes onerous. Designers and engineers studios and technical centers of General Motors around the world can see and touch their creations faster and lower costs thanks to the capabilities of digital fabrication GM Design Center. Techniques selective laser sintering (SLS) and stereoscopic lithography (SLA) allow designers to quickly and economically to computerized models has unique parts for wind tunnel testing of a way that more versions can be tested within time. 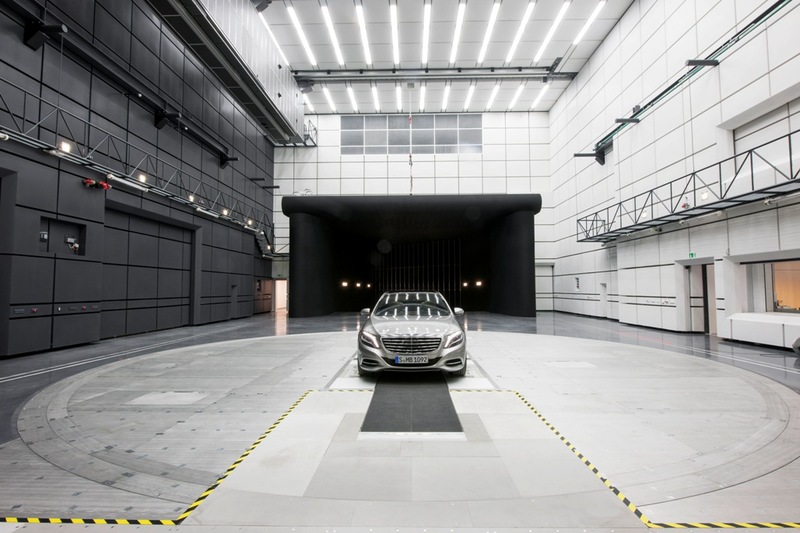 The aerodynamic engineers in place a common vehicle series in the wind tunnel and specialized skilled technicians can quickly replace parts of the body such as coatings bumper, grille, spoiler and mirrors between test runs. Before the manufacture of parts in the workshop of rapid prototyping, computer models are tested for flow of air through a software digital fluid dynamics technology. These parts can then be testees already REPLACED much faster and with better reproducibility than clay models of yesteryear can be reshaped. More time is devoted to the evaluation of modifications that pending the execution adjustments. In fact, the testing capacity has doubled over the last two years. "Long before the construction of a model or a full-size vehicle, rapid prototyping helps to improve the accuracy of the models is the third scale used for aerodynamic testing early" reveals Suzanne Cody, ingenieure in aerodynamic development. "The flow of air into the engine compartment and under the vehicle is essential for cooling the motor and the reduction of rolling resistance. " In the past, the modelistes carved a rough roughing structure before Styrofoam or wood to evaluate the flow of air into the engine compartment. The laboratory prototyping 3D GM can produce a very detailed model including the engine, gearbox, brake lines, drive shafts, exhaust system, suspension and other components of the underbody. "This results in a better correlation of air flow measurements between the model and the full-size car or truck and a reduction in costly changes necessary at the end of program," says Ms. Cody. "As the design of components such as the cooling system is determined earlier, fewer prototypes are needed and vehicles move more quickly from concept stage of the production. " The pieces performed by rapid prototyping also accelerate evaluations on track and road. During the construction of 80 Chevrolet Volt pre-series in mid-2009, several parts of the interior were made by the workshop of rapid prototyping and placed directly in the test cars. "By design, we work with conceptual ideas in preproduction. The first piece Free version allows us to find a practical way of what will or what will not at this stage where people can actually touch a car, "said Checo Pacheco, a leading designer studio creator of brand components. One of the most popular applications of rapid prototyping components, to date, has been the EN-V, a prototype of urban personal mobility, which was presented to the Shanghai World Expo in 2010 and the Consumer Electronics Show 2011. Three models for body EN-V were designed to GM Design studios in Los Angeles, Melbourne, Australia, and Russelsheim, Germany. The workshop rapid prototyping Warren factory bodywork and many components of the demonstration fleet of vehicles. "3D rapid prototyping enables designers and engineers of Chevrolet, Buick, GMC and Cadillac to give free rein to their creativity," said John Green, superintendent, director of operations for the manufacture of GM Design. "We can sell vehicles more attractive, more versatile and more aerodynamic in less time and lower cost than ever before. " Kia Rio 5-door 2012: Brand new!